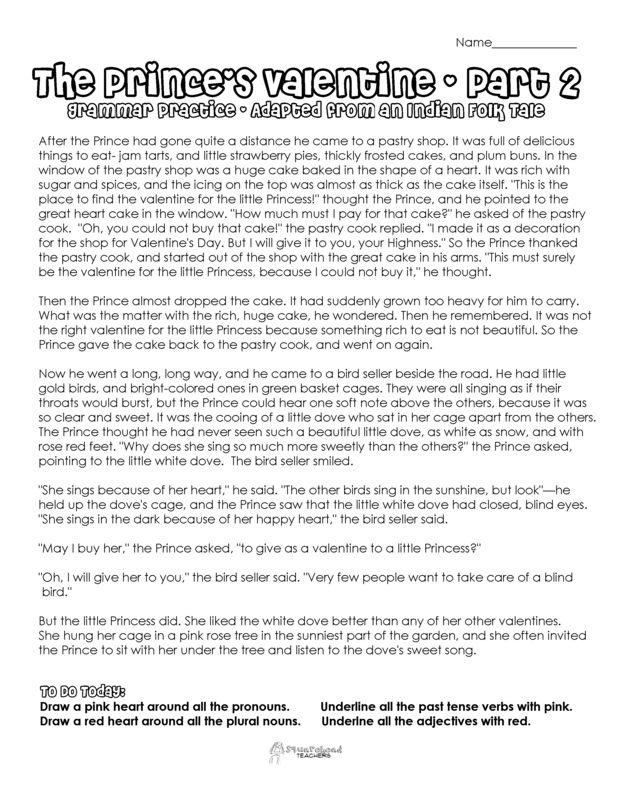 Here are some Valentine’s Day stories for upper grade grammar practice. Great for independent seat work or whole class practice. 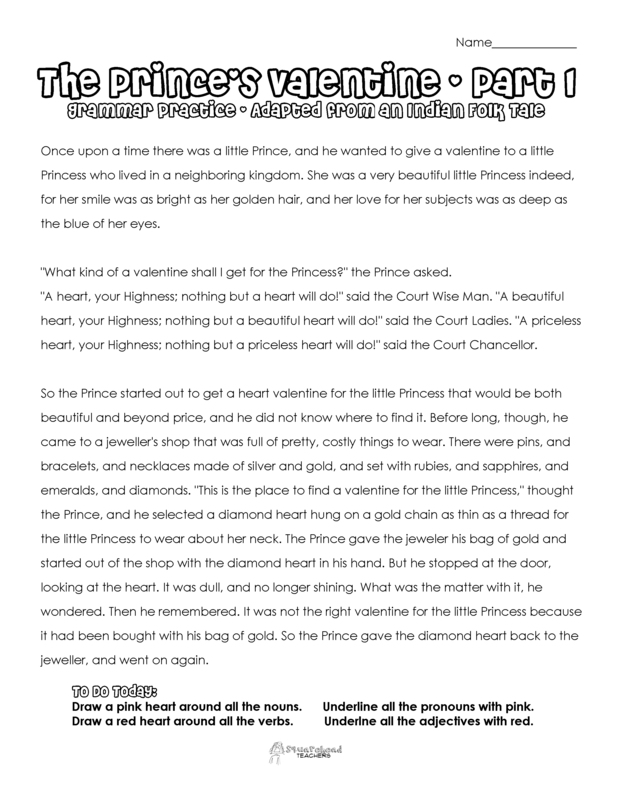 Click here for the Prince’s Valentine printable PDFs: prince part 1 prince part 2 Enjoy! This entry was posted in Grammar, Valentine's Day and tagged Children, Education, Elementary School, Homeschool, Kids, Teacher Resources, Teachers, Teaching, Valentine, Valentine's Day by Squarehead Teachers. Bookmark the permalink.